Keep your Credit/Debit Card and other passes safe and sound in this Black Credit Card Protector. 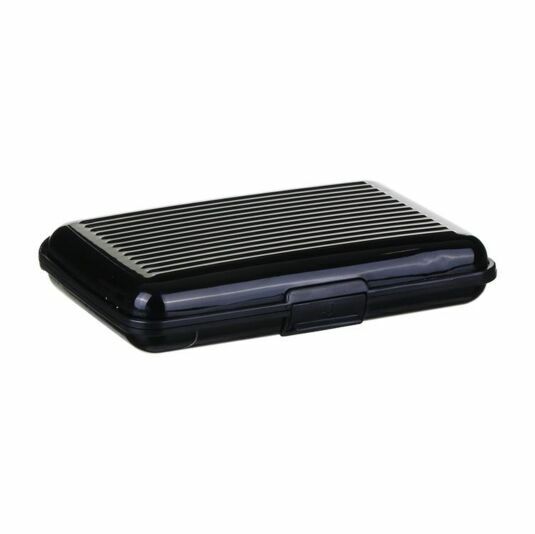 The small and robust case can easily fit in your pocket or bag allowing it to be quickly found. Inside a set of plastic concertina-style pockets open to reveal spaces for up to six credit or business cards. 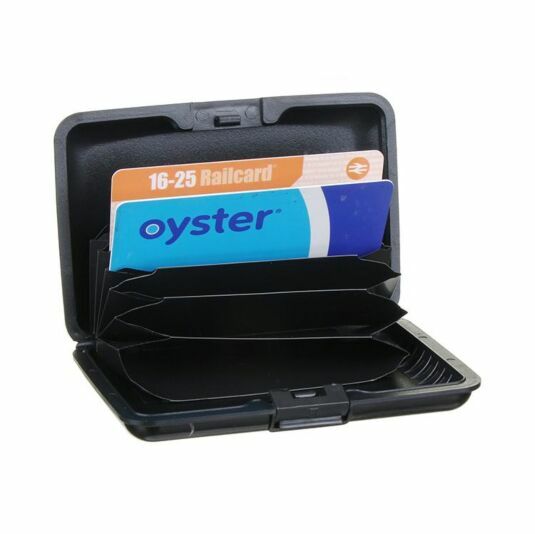 The Card Holder is made from a durable plastic, ensuring your cards will be protected and prevented from being lost at the bottom of your bag. It has a satin finish with a ridged texture on top, and opens with a sturdy snap-fast clasp. 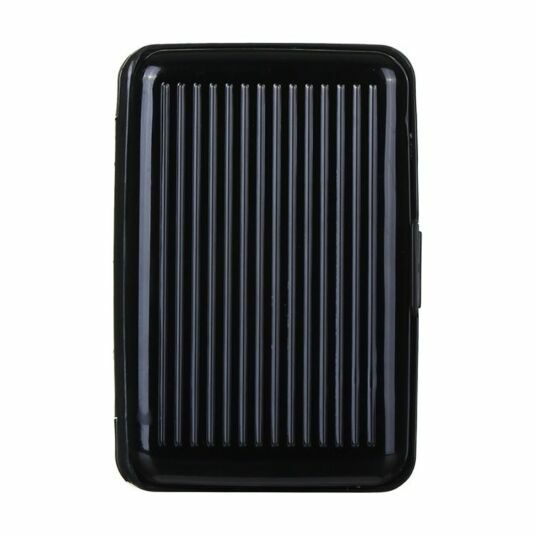 Perfect for those times when you don’t want to bring your wallet, this slim and sturdy holder is ideal for keeping your cards together. 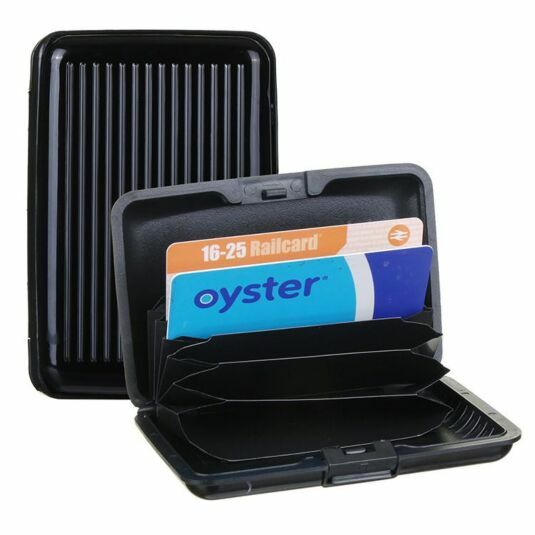 This smart card holder would make a great gift for anyone who likes to be organised.